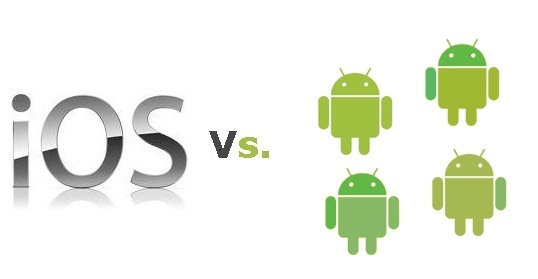 However, you slice it, the iOS vs Android debate is spurious at best. Why? Because there isn’t just one Android, try at least four. Add to that brew a growing gaggle of boutique mobile operating systems that are making a play for rapidly expanding market, as well. iOS vs Androids (plural) — been thinking this for awhile and have heard it elsewhere. Sometimes, however, it’s not what’s said, but who says it. Christina Cacioppo and her partner, Matt Spitz, are the creators of Hoot, a video messaging app/service that’s just for Android. It’s not that they don’t know iOS or are unwilling, Android’s the direction they took — a good thing™. Today we talk about “Android versus iPhone,” but I think we’ll soon compare the iPhone to “Google Android,” “Samsung Android,” “Amazon Android,” and “Xiaomi Android,” and we’ll calculate market share between the Androids. Cacioppo points out an obvious fact. Further, investors see this fragmented marketplace and that’s why there is a steady stream of new (boutique?) smartphone operating systems, like Firefox OS, Tizen and Sailfish. Smart people are investing tens of millions to create and build out new mobile operating systems, and they are expecting a return on their money. Further, we shouldn’t write off Windows Phone just yet, let alone the really little guys and maybe even Blackberry. At least by my way of thinking, the smartphone/mobile game hasn’t even gotten to halftime yet. So, is iOS losing the market share war? Yes and, obviously, no — Apple isn’t interested in the Hee-Haw demographic. So, the iPhone reigns supreme? Meh at best, because there are just so many ways to parse the rapidly expanding pie that is the mobile market.